The Azerbaijan Trade and Cultural Center cordially invites you to the annual Novruz Holiday Celebration, featuring Azerbaijani music, dance, food and activities! Join us in a traditional celebration of Novruz, the holiday marking the arrival of Spring! Experience the unique traditions and customs of Novruz, including delicious Azerbaijani cuisine and special pastries. Meet old friends and new as you celebrate this time-honored holiday. The event will also feature dancing, outdoor activities, the traditional “bonfire jumping,” fortune telling, and more! Novruz is one of the most beloved and colorful holidays in Azerbaijan. Meaning “new day” in Persian, Novruz marks the beginning of the year for people in Azerbaijan, Iran, Tajikistan, Afghanistan and other common cultural heritage countries. Novruz has been celebrated for at least 3,000 years and is rooted in the ancient traditions of the Zoroastrian belief system. Glenview Mansion is an elegant home built in 1926 that is included on the National Register of Historic Places because of its architecture and formal gardens. Built to entertain, the venue is the icon of the 153-acre Rockville Civic Center Park in Maryland. Parking is available. 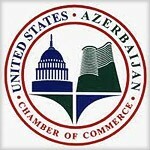 contact Fettah Anadol at (202) 333-8702 or via email at fanadol@usacc.org.